ItemF-03362 - Man and dogsled; before they cross frozen river. ItemF-03376 - "Freight teams crossing bridge, Little Nalin River; Atlin-Quesnelle tel. line." ItemF-03377 - "Building office, Iskoot River; Atlin-Quesnelle tel. line." Item F-03382 - "Loading telegraph supplies; Atlin-Quesnelle tel. line"; SS Strathcona. 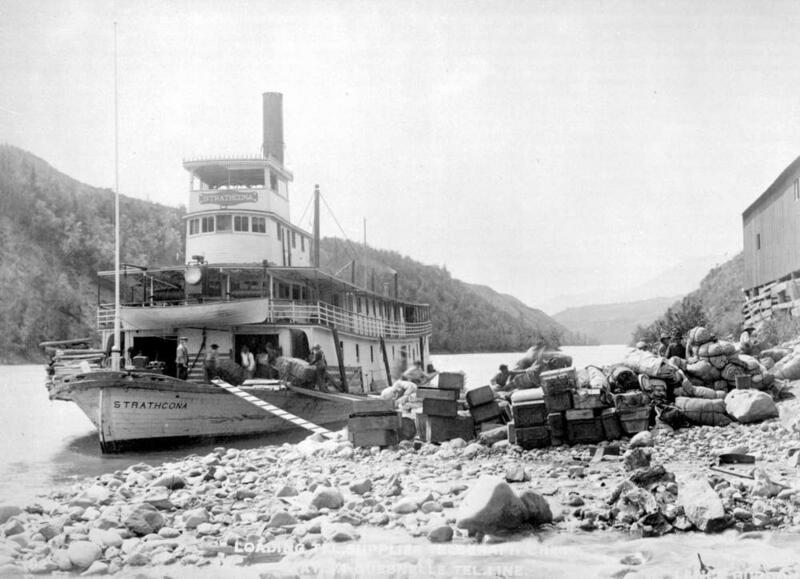 "Loading telegraph supplies; Atlin-Quesnelle tel. line"; SS Strathcona.